Top Hat Video: Get the Popcorn! 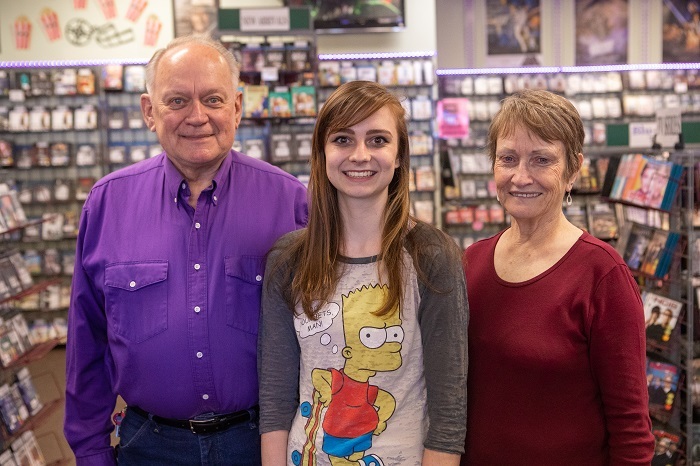 In 1983, when every street corner had a video rental business, Lee and Lona Earl got in on the ground floor with a franchised Adventureland Video store. They started out at Five Points Mall in Bountiful and remained with Adventureland until that business closed. They looked at options with Aardvark Video or Warner Video. They chose instead to venture out with a group of like-minded business people and started their own franchise with Top Hat Video. There were originally ten stores across the state. Now, of the 500 former Adventureland stores and the 10 original Top Hat stores, Lee and Lona have the last one standing. 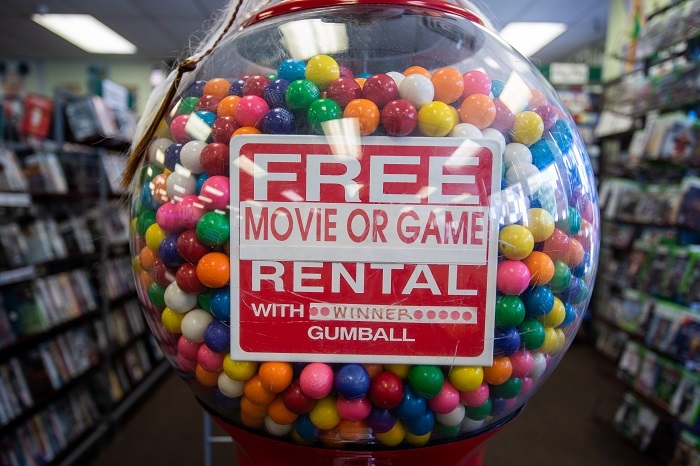 “Redbox took a lot of video stores out, more so even than internet and downloading,” Lee said. As empty storefronts closed one after another, how did the Earl’s stay in business? A lot of it had to do with their background in restaurant management. They brought along the marketing ideas they gleaned there, adapting concepts they learned such as a daily special and lots of variety. “Most video stores ordered multiple copies of new releases. Instead of ordering 100 of a title, we ordered 10 and focused on classic movies and a huge family section that other stores didn’t offer,” Lee said. The difference kept them going and kept them thriving. Another difference is their employees. Rather than sitting behind the counter, their associates are friendly to everyone that comes in and they all get out and mingle with the customers. They actually assign employees to be on the floor and visit with people. It is a personal touch that leaves people thinking that all 18 employees are family. They have people who have worked with them since high school, gone on to graduate college, started a career, and still want to work one or two days a week at Top Hat. Even today, with Redbox everywhere and the ease of downloading movies from streaming services, they still sign up 10 new memberships every week. They have customers who came in as kids with their parents who now bring their own kids to rent a video. A favorite of the customers are the end cap promotions the employees design. They can highlight an actor, director, or themes such as remakes, or anything from Shakespeare. Film students from local universities add a lot with their extensive knowledge of film and film trivia. Customers still turn in requests for a favorite movie. With an inventory of 35,000 movies, they can take care of most requests, and will work to get anything they don’t already have in the store. Top Hat Video is located at 521 W 2600 S, Bountiful. 801-292-2221. Visit their website.